When you want the best grill possible and have limited space, the Vantage 30" gas grill is your clear choice. 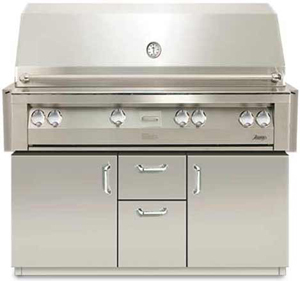 55,000 BTUs of grilling power form two 18SR stainless steel conventional burners. 15,000 BTU flush-mounted infrared rotisserie burner. 542 square inch grilling area with stainless steel grates. Dedicated adjustable 7,000 BTU burner smoking system with large drawer. The 36" models are truly powerful culinary tools for the outdoor chef looking to take the next step in outdoor entertainment. 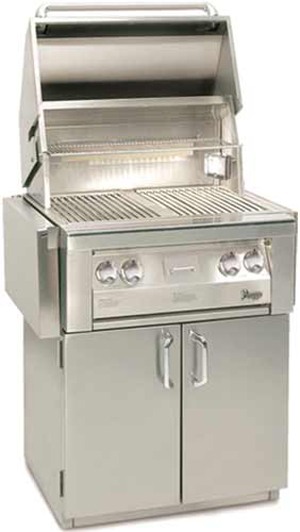 Three 18SR stainless steel burners produce 82,500 BTUs of grilling power. 660 square inch grilling area with stainless steel grates. The 42" models are available with a synthesis of features that offer unparalleled performance and reliability in your outdoor kitchen. 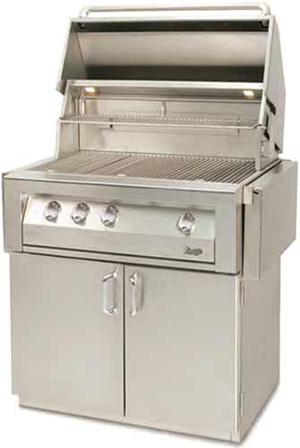 The 56" models are the perfect mix of power and versatility needed for the serious outdoor chef. Three 18SR stainless steel burners produce 82,500 BTUs of grilling power plus on additional 27,500 BTU Infrared Ceramic Sear Zone. Dual 15,000 BTU flush-mounted infrared rotisserie burner. 998 square inch grilling area with stainless steel grates.